The premise couldn’t be more straightforward: goody two-shoes gets tangled in a web of deception after telling his crush that he likes someone else. 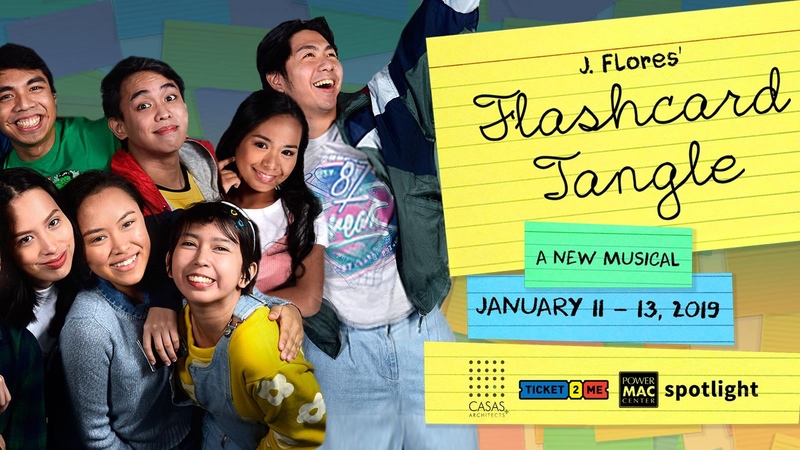 Unfortunately, Jef Flores’s Flashcard Tangle couldn’t be more similar to its own protagonist, as its narrative gradually convoluted to what resembled a rough draft. The storytelling inevitably got caught up in the chaos of its own doing, much like the titular Matthew Turner. After fourth grader Tina Velasquez got a failing mark in their Spanish class, she decided she had to get a tutor. Who better to help her brush up her Spanish than the smartest in her class, Matthew Turner—the boy in class who has the biggest crush on her. He taught her how to use flashcards, and even shared her his secret study trick. What he does is, for better recall, he associates his ‘special person’ with whatever he has to memorize. Unbeknownst to him, Tina sort of ‘like-likes’ him too. So when Tina asks him who his ‘special person’ was, in all his awkwardness, all he managed to blurt out was Sandy Jacobs—Tina’s best friend. The whole story unraveled in an almost bare-bones set, Power Mac Center Spotlight’s black box configured in the round. Set pieces straight out of a playground like monkey bars were at corners, while colorful boxes transformed the stage from a library to a classroom and back. This minimal set design allowed for the adult cast’s playfully dynamic delivery as kids in the third and fourth grade. The ensemble engaged in very animated choreography; despite featuring work from four choreographers, no particular sequence stood out, with every number successfully capturing child play into dance. 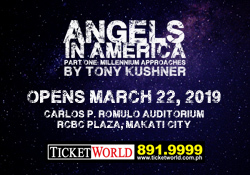 The cast’s energy was undeniably filled to the brim; director Jef Flores adeptly channelled this into effective comedy. Well-timed gags (like every time Matthew delivers an accidental comeback) laced each scene, leaving audiences in knots. For the most part, the cast was endearing and infectiously energetic, like Jiano Magdaraog’s spirited Joshua Bell, or Martti Franca’s wholesome Matthew Turner. One caveat, however, is that the young ensemble barely resembled real children. They were explicitly cartoonish, with characterizations blown up like caricatures—only working to further the comical storytelling they had gone for thus far. While the songs didn’t appear to exist in a very cohesive score, they were individually notable. The musical numbers introduced the ensemble effectively, slightly reminiscent of the character expositions in Spelling Bee. At a pivotal moment in the second act, one of the children erupted into a jazzy pop ballad about her crush. It was one of the more noteworthy songs—but for the wrong reasons. It catapulted the character into inappropriately more mature footing. It bears repeating that these children are in the 4th grade; one could only wonder where that hint of pathos came from. From that moment forward, the plot just reared its more chaotic head. Soon enough, the ensemble grew rowdier, climaxing in a chase scene and later on, a rumble which felt like forever. To make things worse, the story called for a power shortage amidst all that kerfuffle; lighting designer Joseph Matheu resorted to what seemed like emergency lights, drowning the whole sequence in a sepia tone. The clichéd denouement happened shortly (and unsatisfyingly), despite the protracted commotion that occured prior. As with all tales like this, littered with its puppy love and middle school tropes, it did conclude with a moral lesson or two, and aptly so. For a writing debut, this material definitely has some decluttering left to do. Case in point: its last-ditch attempt at a more nuanced narrative only ended up as misplaced and barely fleshed-out. With more serious and mature arcs ineffectively injected into the second act, Flashcard Tangle got caught in all its shenanigans—as if it took its title too literally. Raffy is currently in his fourth year studying Intarmed — he usually has trouble explaining it to people so instead he just says he's a second-year medical student — in the University of the Philippines - College of Medicine. He was last seen drowning in theatre and film. If found, please report to the nearest authorities. Or just treat him to someplace nice. Medical school can get really exhausting.